Happy Halloween! To help get into the spirit, here are three spooky poems written by yours truly. Below you will find a haunted lighthouse, some creepy crawlers, and of course, zombies. Enjoy and stay scary, my friends! running the gauntlet of twisted nightmares. as tiny legs tickle the hairs. settles on shells of black bodies. of the skittering across his skin. the broken slivers of Earth, wilting metal and glass crumbling with shards of the dead–mangled masses returned with withered memories and without reasoning. abandoned like my dying crop, as they approach, rotting like the livestock. searing pain bites my flesh, skin so cold it burns, body still submerged, lapping in a sea-salt froth, scraping the nook of jagged rock, ice-cold shards sticking to my skin. and my cheeks peel from muscle and muscle shreds from bone. the ripping screams echo in my ears. and climb the edge of rock, a stone island off the shore. The horizon, a bone-white beach overflowing with bloated dead flowing into the sea, eroding like edges of the Earth. Thanks for reading! If you enjoyed these and would like to explore more of my work, my debut chapbook, Come Fly with Death: Poems Inspired by the Artwork of Zdzislaw Beksinski is available in print and on Kindle. Another Light originally published: Phantom Kangaroo, issue no. 9, July 13, 2011. The Skittering originally published: The Horror Zine, October 2011. From Corn to Sea originally published: Devolution Z Magazine, April 2016. In case you were wondering, I have not fallen off the face of the planet or gone tumbling down the trenches of a deep well. You could say I have fallen into a bit of a writing slump, and that does feel something like falling into a well, I suppose. This ‘slump’ has not only affected my blog and social networking activity, but also my personal writing projects. And this comes less than a month after I declared a daily writing goal for myself. Which by the way, was going really good for the first two weeks–I exceeded the goal on 9 out of 14 days–but then I ‘fell’ and haven’t written any new words for over a week and a half. Well, aside from some journal scribbles and a poem or two. But fear not, the goal is not dead, just a bit wounded. And if indeed I am trapped at the bottom of some deep lonesome well, I’m pretty sure Lassie isn’t coming, so I’m gonna have to find a way to climb out on my own. I’ll attribute this slump to distractions in life which have made it exceedingly difficult to get my head into writing. It’s easy to find excuses, and it’s not difficult at all to find distractions and let them detour you from the writing path. But such things are necessary for me to move forward in life and provide for my family. Right now I’m charging to the end of a four year journey which will culminate in becoming a Radiologic Technologist. This means scrambling to meet the last of the program qualifications, studying for test after test in preparing for the national registry, and I now have the added stresses of trying to find a job, because sadly, there will be no more money handed to me for education (and most of that money will have to be paid back). In actuality, it feels like these tracks I’m speeding along are sending me straight into a brick wall–or to the bottom of a brick well, as it were. Yesterday brought a bit of disappointing news to pile on to all this. Twisted Library Press announced they must cancel the majority of their upcoming anthologies due to the economic crisis. This includes the zombie-themed, Through the Eyes of the Undead II, which was slated to include my story Fleshward Bound. It always hurts to hear about any small press closing or making significant cutbacks, and it stings even more when it affects you personally. Oh well, I found a potential home for the story once, so I know I can do it again. To end on a more positive note: my entry into MicroHorror’s annual story contest was accepted for publication yesterday and is now available to read here: This Well So Deep. 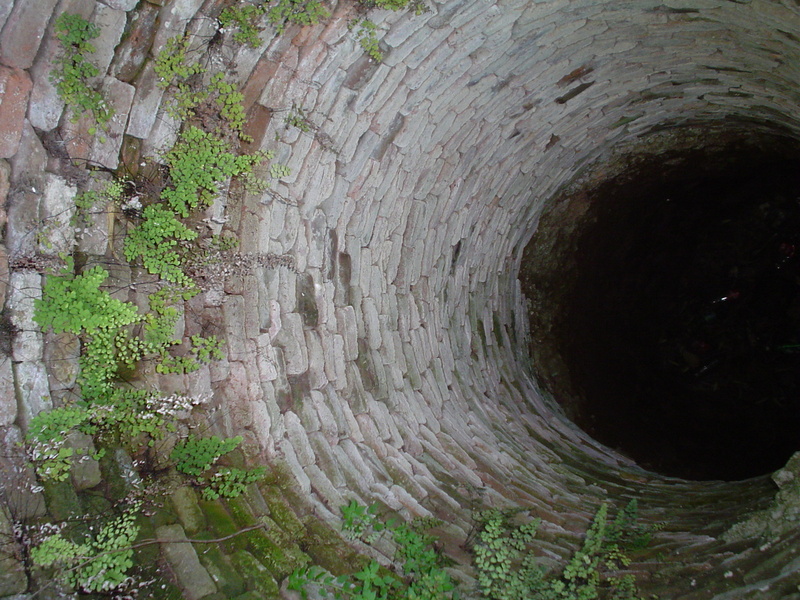 It’s a chilling little story about a boy who falls into a well (see there was a point to all this well stuff!). The theme for the contest this year is water, and this is my first time entering. I must say it was fun writing for it, and I produced a story that otherwise would not have come into existence. There are loads of great entries so far, so stop by, have a read, and get immersed in some terrific watery horror! Oh, and I hope you are all doing quite well.